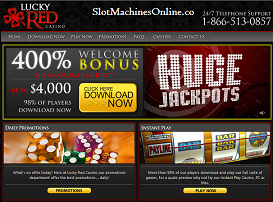 Lucky Red Casino is one of the most popular USA online casinos. 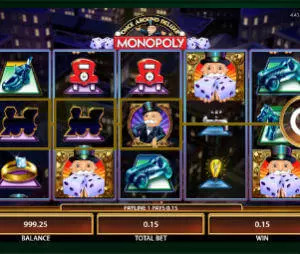 Since it’s launch in 2009, it gained huge popularity among the players for their bonuses, professional support, smooth deposits, prompt withdrawals and overall top notch casino experience. Casino Support: Live chat, toll free number (1 866 513 0857) and website contact form. Available 24/7. There are plenty online casinos that fall into the trap of trying to imitate and reproduce Vegas casinos. They go with the black and red colours, but miss the whole point. Lucky Red casino is not one of them. The design is appealing and exiting, but it’s perfectly balanced with being simple and clear. The site is friendly and very easy to navigate, even for a beginner. New players at Lucky Red will be granted a 400% bonus on their first deposit, up to $4,000. The bonus code for that promo is: LUCKYRED400 . The bonus can be wagered only on Slots, Keno and Scratch Cards. This is the best bonus for slot fans. Existing player can enjoy various ongoing promotions. There are plenty unlimited promotions during each day of the week. On Monday you can get 25% Cashback, on Tuesday – 70% slots bonus and so on. While playing you also accumulate comp points which later on can be transformed into free chips (on most of the games $10 wagered = 1 comp). 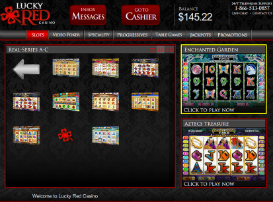 Lucky Red casino offers almost 200 casino games: blackjack, roulette, video poker, craps, keno, scratch cards and of course over 150 slot machines. The only field that requires further development is 3D Slots. Few 3D slots were launched during 2014, but the variety is still relatively low. Other than that – we have no complaints. If you have been playing USA online casinos during the past 10 years, you know that many of them have issues with deposits and withdrawals. That’s not the case with Lucky Red Casino. There are plenty deposit methods available, including all major credit cards and the process is easy and smooth. Same way regarding the withdrawals which are processed within 24 hours (of course it may take some additional time for the money to hit your account if you are using courier cheque or bank wire). Lucky Red is available on iOS, meaning iPhone and Ipad. The variety of games is not as wide as in the online casino itself, 30 games vs almost 200 casino games, but still that is enough to keep you entertained. New mobile games are added every few months. There are two options to play online, download version and the flash version. If you are playing on PC, then we would recommend using the download version – that will give you the full variety of games, slot tournaments and more. If you are playing on Mac or mobile device – you need to use the flash version. One of top 3 most reputable and recommended online casinos for US players. If you haven’t played there – you should. It won’t get much better than that.